Ming Jue, a 31-year-old teacher in Qingdao, Shandong Province, recently applied for arbitration after he was dismissed by the kindergarten he was working at. Ming Jue, a 31-year-old teacher in Qingdao, Shandong Province, recently applied for arbitration after he was dismissed by the kindergarten he was working at. ­According to Ming, he was fired after he revealed to his students’ parents that he is homosexual. “I told my students to be honest, so I can’t lie. 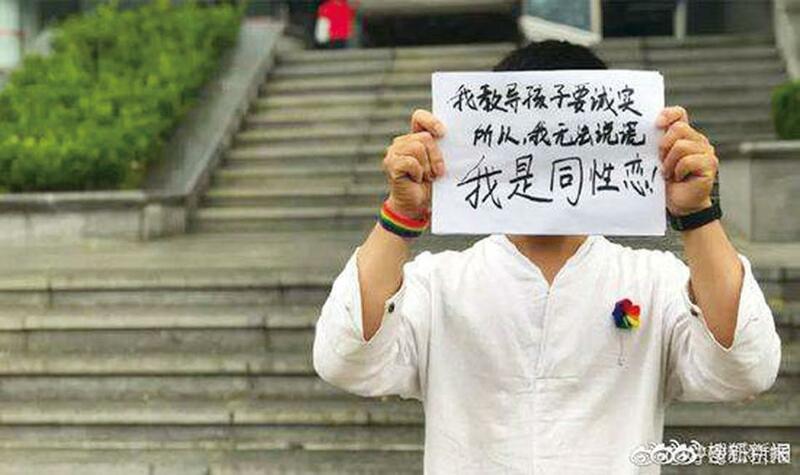 I am homosexual,” read a sign Ming held while standing in front of the local labor ­arbitration bureau. A great many netizens have posted their support for Ming, calling for equality for people who have different sexual orientations. Ming’s lawyer said that China’s current labor law does not go into detail about workplace discrimination, but he believes the bureau will find the dismissal as unreasonable as he did.